An interesting article originally published in the SMH, watch the video here . As we continue to campaign for education about the risk of ‘biodegradable’ bags, and compare them to alternatives such as ‘compostable’ solutions, it’s important to highlight Australia’s strict Compostable Certifications for both home composting and industrial composting. The warning has prompted a Senate committee to call for a public awareness campaign to explain the differences between degradable, biodegradable, compostable and traditional plastic bags – and how they should be disposed of – to educate consumers who mistakenly believe they are doing the right thing. “Degradable” plastics, commonly used for shopping and rubbish bags, contain additives that make them disintegrate more quickly than traditional plastics. Some people also refer to these products as “biodegradable”. While such bags do not remain for decades in the environment as large debris, they can break into smaller and smaller particles until they become microplastics – tiny plastic fragments less than five millimetres in size. A Senate committee last week produced a report into the “toxic tide” of marine plastic pollution, including plastic shopping bags. Tony Underwood, University of Sydney emeritus professor of experimental ecology, told the inquiry that biodegradable plastic may become less obvious to the naked eye over time, but was an “invisible idiot”. University of Queensland academic Kathy Townsend told the committee that consumers were largely confused about different types of bags, and using the terms “degradable” and “biodegradable” plastic inspired more littering because people wrongly believed it would “degrade and go away”. The rapid disintegration of such plastic also makes it “available to animals much faster than it would be otherwise”, she said. 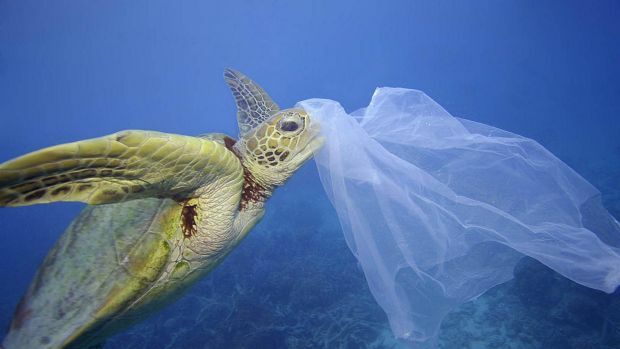 University of NSW biodiversity expert Mark Browne cited research comparing biodegradable and traditional plastic bags, saying “we put them on a mudflat and looked at the changes in animals and plants that lived among them, and they both caused the same impact”. The committee said the term “biodegradable” could also refer to “fully biodegradable” or “compostable” plastics generally made from plant materials which return to base organic components when processed by commercial composting facilities. Clean Up Australia managing director Terrie-Ann Johnson told the inquiry of a large Australian retailer – understood to be Target – that introduced compostable bags but experienced a “customer backlash … because they were not strong enough”. She said people often wrongly thought compostable containers could break down in backyard compost, when they required commercial composting units, and “there are not enough … units in the country to take them”. 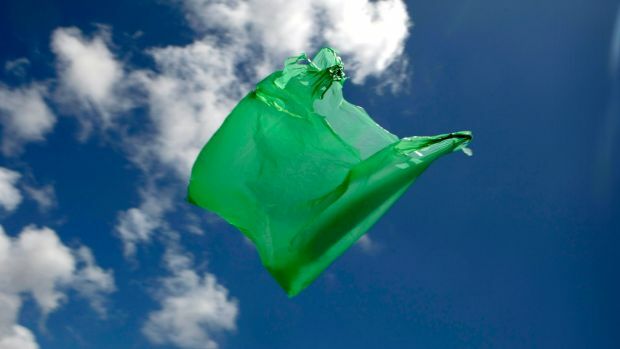 The committee, dominated by Labor and Greens members, noted community confusion over plastic bag types, their disposal and their various environmental effects. It called on the government to encourage states and territories to run targeted education campaigns aiming to change consumer behaviour on plastic use and provide information about alternatives. This entry was posted in Compostable Bags, Council, In the home and tagged Biodegradable bags, Compostable Bags, compostable liners, litter. Bookmark the permalink. Thank you! Very interesting article!